This Side of Paradise = По цей бік раю F. Scott Fitzgerald. : купить книгу в Чернигове - интернет-магазин "НОВА КНИГА"
This Side of Paradise = По цей бік раю F. Scott Fitzgerald. 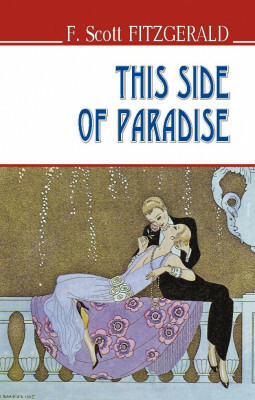 “This Side of Paradise” is the first great literary work created by the American writer Francis Scott Fitzgerald which immediately brought him universal acknowledgement. An enchanting youth, full of radiant dreams and hopes for the dazzling prospects at the beginning of the novel, having lost his friends in the war, having experienced tragedies in love, being out of means of subsistence, he finds himself on “this side of Paradise” and tries to find the right niche for himself. Such is not only the main hero’s fate but that of the author himself and his generation burnt by the First world war. The novel attracts the reader owing to its veracity and deep psychological analysis of the characters’ behaviour. These qualities make it interesting and topical for the readers in Ukraine as well as in the whole world.